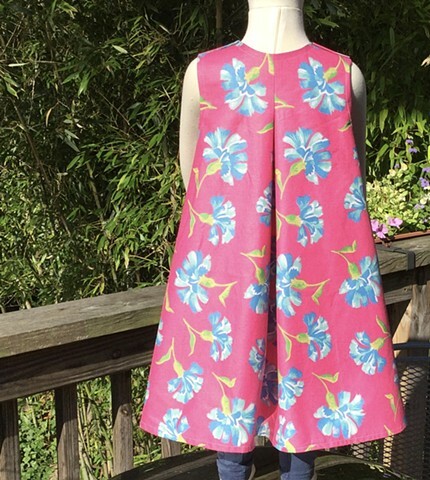 Smooth polished cotton, hot pink background with blue carnations, sized for a 7-8 year old, measures 28” armhole to armhole, 25” shoulder to hem. Goes on over the head with buttoned closure at the shoulders, wide A-line skirt and deep box pleats provide ample twirling ability. 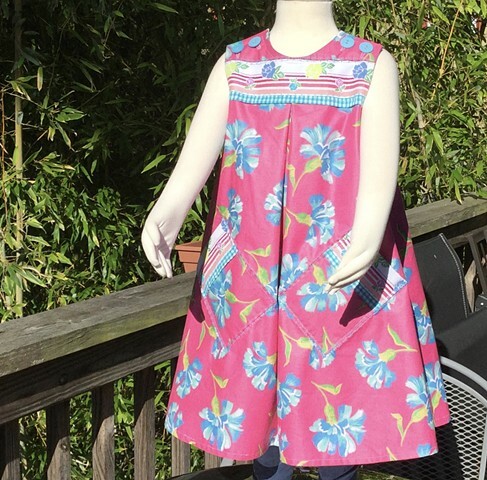 Slanted pockets for necessary things, dress features wide embroidered trim imported from West Germany across bodice and on pockets. 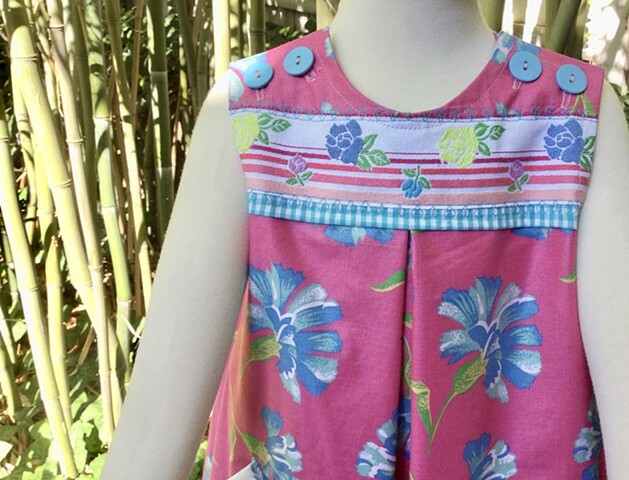 $70, totally washable, made by the designer herself and shipped free to any address in the U.S. #248.